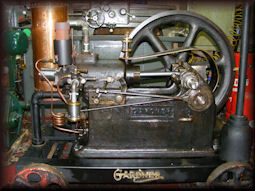 I have been interested in stationary and steam engines for as long as I can remember, however having had a hobby of restoring old British bikes I never had any thing to do with stationary engines outside of looking at them with fascination at rallies for old bikes that I attended that had sections dedicated to these engines. 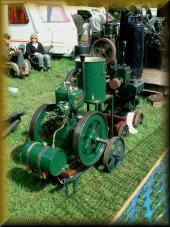 Then a year or three ago my sister met her boyfriend who has been into stationary engines for more years than he’d like me to say, he introduced me to the active side of this hobby by having me make him bits and giving me my first two projects (the Ruston Hornsby APR and the Lister A) respectively. One of my other hobbies is machining (for quite some years now) which has resulted in having my own 30' X 15' machine/workshop with a couple of lathes a mill and one or two other pieces of equipment.